Brake on Australia's addiction to property has come just in time !!! Another Saturday, another sign Australia’s property price boom is well and truly over – for now, at least. Only half the properties that went to auction in Sydney and Melbourne on the weekend found buyers. Australian property owners are waking up to the mother of all housing debt hangovers. That’s what happens, you see, when you go on an unprecedented credit binge, fuelled by cheap credit and loose lending standards. We’re just starting to realise the extent of the binge that has occurred over the past half decade. Sure, some increase in borrowing was to be expected when interest rates fell to record lows. But systemic issues in the way debt has been sold to Australians have begun to emerge. The banking royal commission is proving well worth the cost to taxpayers, exposed myriad problems in Australia’s home loan market. These include mortgage brokers with a direct financial incentive to push ever bigger loans and repeated failures by banks to comply with “responsible lending” laws designed to ensure borrowers are not sold debts they can’t afford. As many witnesses to the royal commission have testified, Australians have a inbuilt tendency to assume that if a bank is willing to write them a loan, they are – by definition – able to fund it. We still think of banks as those trusted institutions of country town high streets – diligent gentlemen doling out wise approval or disapproval of one’s financial position. Many Australians have simply failed to fully grasp the transformation in the banking sector since the privatisations of the late 1980s. Banks today are no longer staid institutions, but publicly listed institutions with a duty – first and foremost – to maximise returns for their shareholders. Of course, writing too many loans that people can’t afford will ultimately destroy shareholder value, if it all goes bad. But a little bit of mis-selling here and there? A little pushing of the boundaries of responsible lending to feed Australian’s obsession with homeownership? Sure. Instead of disciplined scrutiny of borrower’s financial accounts, banks have been found to have loan approval processes that rely excessively on so-called “benchmarks” of living expenses, with little - and sometimes no - attention paid to household’s actual costs, or their overall debt profile. As the head of Australia’s banking regulator, Wayne Byres, said in a speech last week, Australians make poor “financial historians”. That’s to be expected. Relying on Aussies to estimate their own expenses when asking for a loan is a bit like asking a problem gambler to provide themselves with a credit reference. Australians are essentially gambling addicts when it comes to housing. Given the chance, we'll put everything on property. What is not expected is that the banks themselves should prove such poor interrogators of their potential customers. The result is one of the highest debt-to-income ratios in the world and a ramp-up in property prices which has priced many out of the market. So, are we heading for a big property bust up? It’s unlikely. The entire system – from the structure of our tax system to the role of our regulators – is designed to support and even encourage our addiction. As soon as prices start to turn, authorities delay interest rate hikes and or loosen lending regulations. The banking regulator last week basically declared "mission accomplished" on its measures to cool excessive demand for investment and interest-only loans. Byres basically conceded the regulator had been asleep at the wheel initially, as competitive pressures among lenders manifested themselves not in lower prices or better products for consumers, but laxer lending standards. Processes have been improved, we are told, but not before Australians went on a huge credit binge. It remains to be seen what recommendations will come from the royal commission when it delivers its preliminary recommendations in two months time. The commission is likely to recommend higher standards for lending, including more comprehensive interrogation of households' actual living expenses. Banks will decry this as “red tape”, but stricter lending will bring practices closer to what households would assume is actually happening. Separately, new comprehensive credit reporting laws are set to make it harder for banks to ignore – and customers to fail to disclose – total debts. Make no mistake – this clamp down on lending will make it harder for young buyers to get into the market. But it's time Australians began to curb the urge to property splurge. Excessive leverage into property may fuel higher bank profits, but it is a zero-sum game for society. 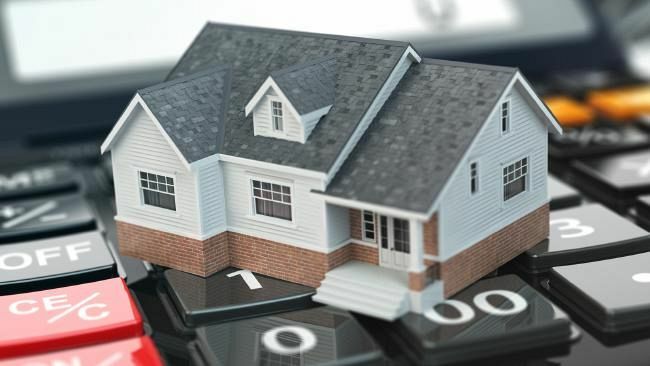 Stricter lending standards will add to a period of uncertainty for homeowners, as they wait to see how much of the gains of recent years were just on paper, and how much can be sustained. In a period of weaker wages growth, many will be acutely aware they have shouldered themselves with debts that, with the benefit of hindsight, will be hard to service. House prices are unlikely to collapse, given continued support from an ageing population and migration. Indeed, households can expect interest rates to stay lower for longer, given every rate hike from here will pack more of a punch, given higher indebtedness. The end result for policy makers is that the task of getting interest rates back to “normal” levels and reloading the monetary policy canon to deal with future economic shocks has been made all the more difficult. That is particularly concerning at a time when the leader of the free world is unravelling the international rules-based system with an intensifying trade war. Australia’s property binge looks to have ended just in time. The real test for policymakers will be to avoid it happening again.